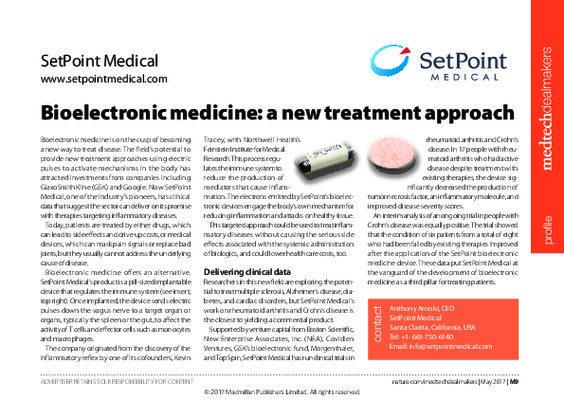 Portal Instruments’ needle-free and digitally controlled jet-injection device affords less injection-related pain and seamless integration with digital health care platforms, which could help improve patient tolerability and compliance. To download the full article, please sign in. Portal Instruments is a clinical stage, privately funded, medical device company focused on advanced drug delivery and solving the challenge of self-administering biological medicines. We are developing and commercializing a highly innovative needle-free jet injection platform licensed from MIT, that transforms the drug delivery experience for patients suffering from chronic diseases. Our aim is to replace all needles and syringes with a safe, fast, and connected device and to become the standard for modern drug delivery. The device is easy to use and digital health features empower the patient to holistically manage their chronic condition interactively.